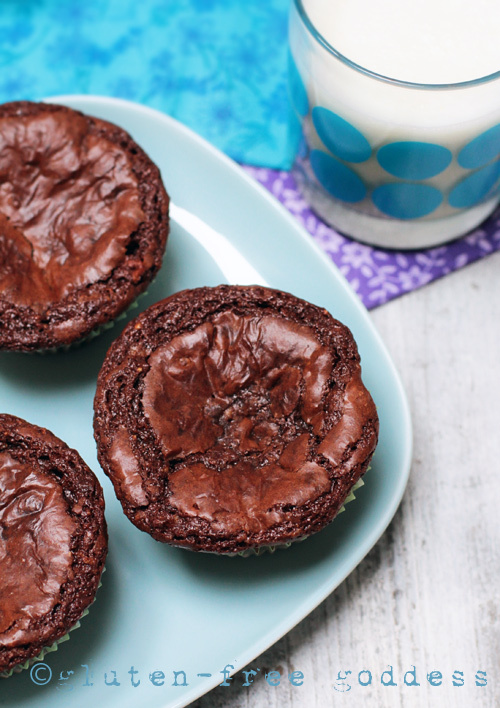 Lately we’ve been experimenting with baking brownies in a cupcake tin. Just for a change-up. We felt like tweaking again. We’re using Baker’s chocolate now (semi-sweet and unsweetened). And we’re favoring hazelnut flour. We boosted the baking soda a tad. 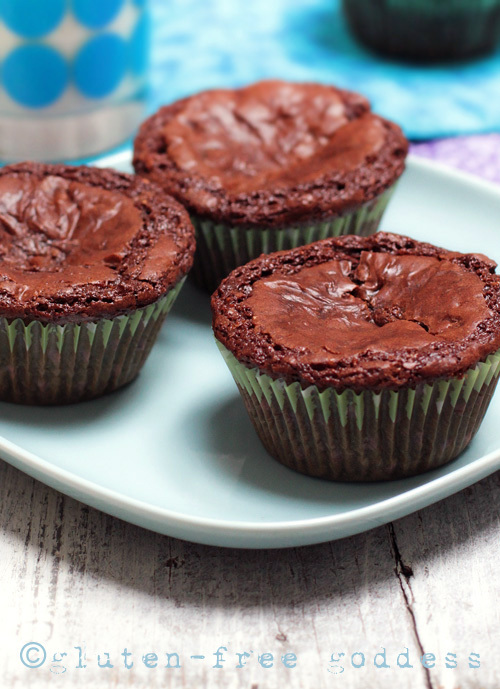 When they bake they rise and fall and crack like little flourless chocolate cakes.